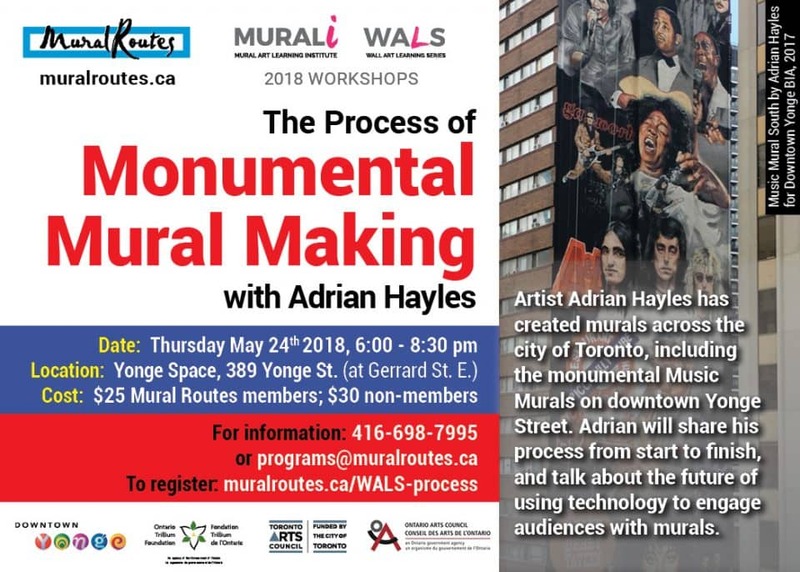 Details: Artist Adrian Hayles has created murals across the city of Toronto, including the monumental Yonge St Music Murals. Adrian will share his process from start to finish, and talk about the future of using technology to engage audiences with murals. The Toronto Mural Archive would like to thank our exhibition partners, the Downtown Yonge BIA. Funding for The Toronto Mural Archive is generously provided by the Ontario Arts Council, an agency of the Government of Ontario. Wall Art Learning Series – That’s a (Mural) Wrap!